Immaculate preservation throughout. 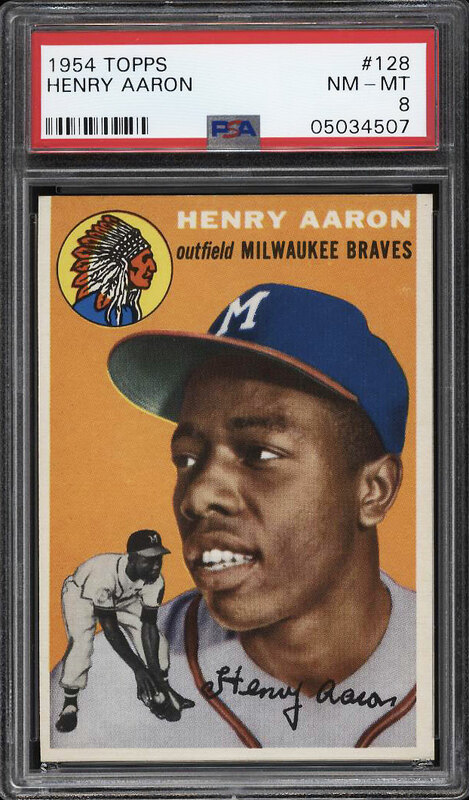 On the short list of immortal HOF rookie cards in the vintage market space. 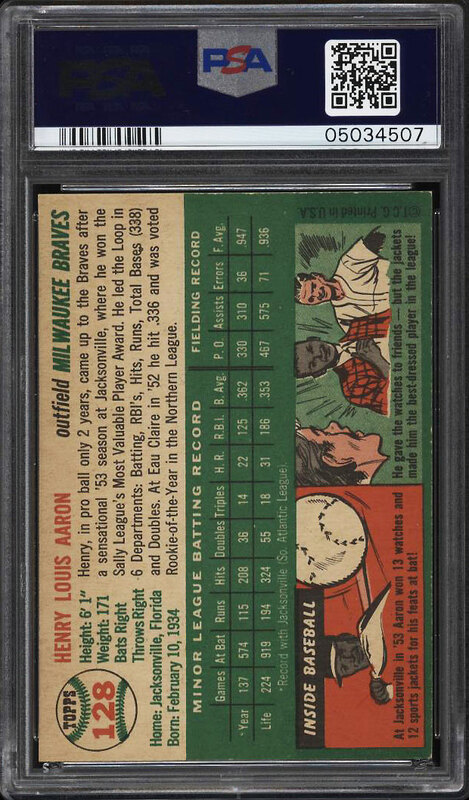 The offered Aaron RC features four strong NM-MT+ or better corners and surfaces worthy of a PSA 9. Stunning overall presentation for the issue and possibly the sharpest Aaron RC we've sold in our history. One of over 18,000 cards, lots and sets up for bid in our 6th Auction of 2018. Click on the link above to view the other PWCC auction lots.